Based upon reviews from our guests, we are rated the #1 hotel in Menlo Park on the popular travel site TripAdvisor. We have also been rated AAA Four Diamond for 25 consecutive years, which acknowledges our warm, gracious and meticulous service. 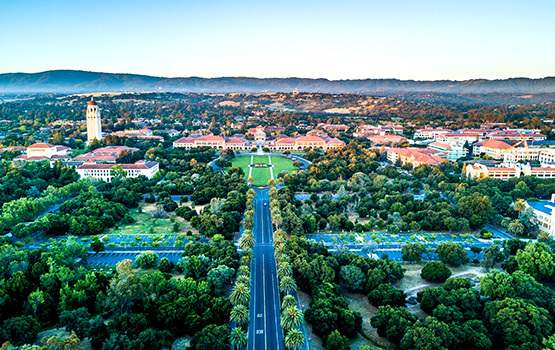 We are located on the border of Menlo Park and Palo Alto, just across the street from the Stanford Shopping Center and proximate to downtown Palo Alto, Stanford University and Silicon Valley. Your stay with us will be enhanced by a thoughtful range of special touches such as evening wine hour (Monday-Friday), fresh-baked chocolate chip cookies nightly, daily newspaper delivery, bottled water in your room upon arrival, evening turn-down service upon request, high speed wireless Internet access, local shuttle service, Linus brand bicycles for use around the area, and much more. Behind the warm and classic-style architecture lie quiet garden courtyards, fountains, and secluded private spaces. 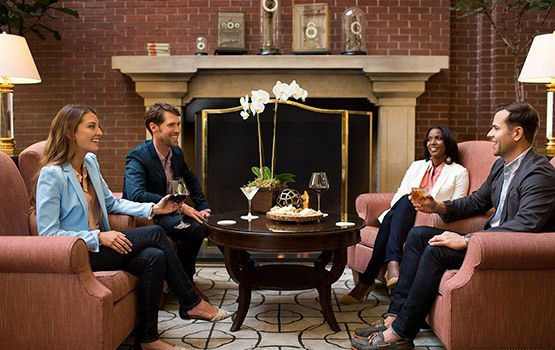 Our guests love to retreat to the solace and charm of the hotel after a long day of work, travel, or play to relax and avoid the hustle and bustle of other more urban-style hotels in the area. The hotel’s traditional and inviting décor is accented with original antiques, paintings and sculptures that reflect a refined residential elegance and charm that makes your experience with us unique and distinctive. 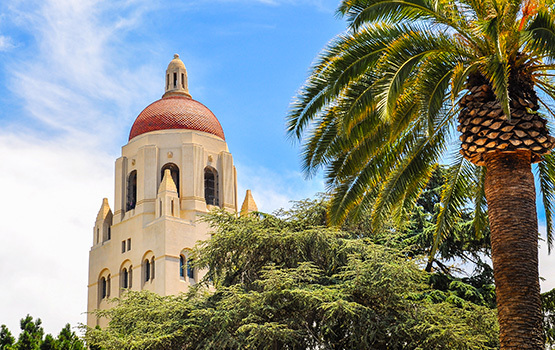 Our staff spends considerable time researching activities in the area that our guests find enticing, such as exciting new restaurants, nearby shops, and things to do around Palo Alto, Stanford University and Silicon Valley. We are eager to make your visit memorable, whether it is your first trip to the area or you return frequently. 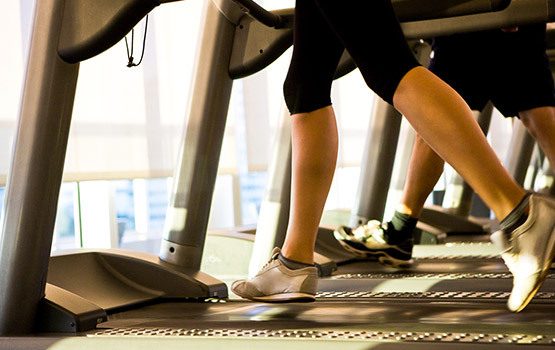 We have a wonderful and spacious fitness center that is open 24 hours a day and full of first-class Precor cardio equipment, Paramount resistance machines, a variety of free weights, and a quiet stretching area. 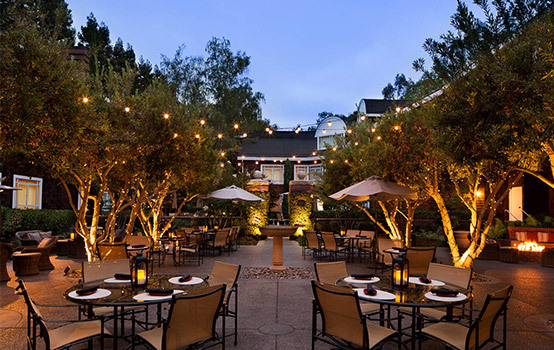 Our garden pool area provides one of the nicest retreats on the entire San Francisco Peninsula, and is an ideal place to relax and unwind during your stay. Enjoy our year-round heated pool, whirlpool spa, and sauna. 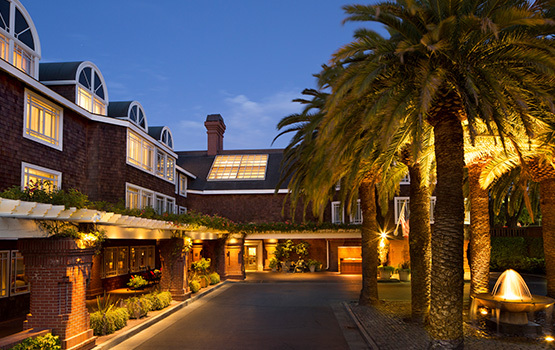 We are an independent, locally owned and operated hotel, and we take great pride in making your stay in the Menlo Park and Palo Alto area memorably wonderful. 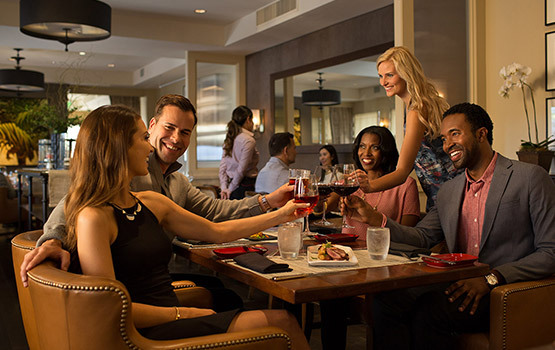 Less than a mile away from our hotel, Stanford Shopping Center offers the premier shopping and dining experience in San Francisco’s Bay Area. 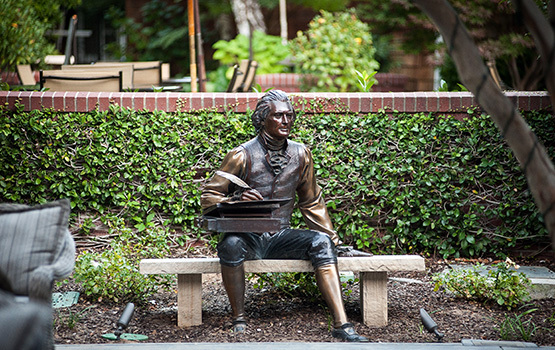 Discover over 140 world-class stores, restaurants, and services, award-winning gardens, modern sculptures by California artists, and a free summer jazz concert series.